The Common Good is protection against the charlatan, the tyrant, the thief, leaders, politicians, corporations and despots. 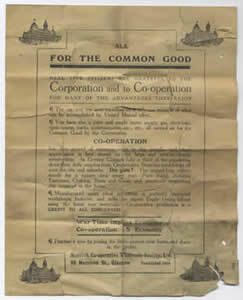 The Common Good is one of the oldest form of democracy and consensual organisation. The environmental disasters around the world run concurrent with the destruction of the commons and its values. The Common Good is to do with our relations to each other, not the abstraction of such things as land ownership, which is to do with oppression. The Common Good protects the finite resources of our planet for future generations, encouraging development of our assets. The Common Good is an easy to understand concept and crosses language barriers, and cultures. The Common Good in Scotland is unique as it also consists of assets worth tens of millions of pounds in public ownership, has laws to protect it and it stretches all over the country. The question would be. Why are we not using this infrastructure and these resources more to regenerate a civil society?